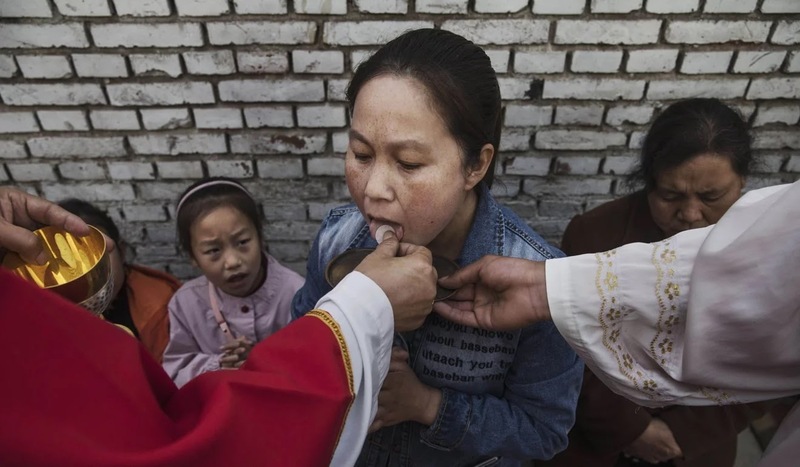 In Feng Le Parish, the city's deputy government secretary went to church at least 10 times accompanied by district police officers, to stop the ceremonies and expel the faithful from the church. They also changed the lock on the church door several times and even threatened to seal the structure if the faithful continued to meet. Before Christmas, dozens of local government officials went to the church of Wu Yuan, forcibly dragging Father Liu away while celebrating mass, sparking great panic among the faithful, showing complete lack of respect for the place of worship and deeply wounding the hearts of those present. They also said that they would expel the priest and it was forbidden to meet and celebrate again there.